For your make-up to stay longer and look good, you need good quality products. Many girls complain about fading of 'eye-shadows'; the reason is the quality of the product. Always use good quality products. They will cost you a lot, but will last you longer. 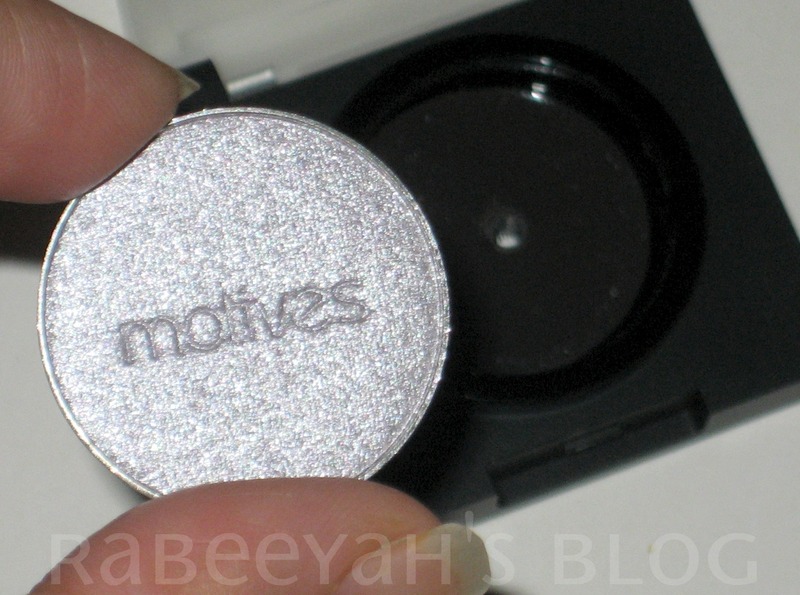 Let's see what Motives® has to say about their eye shadows. 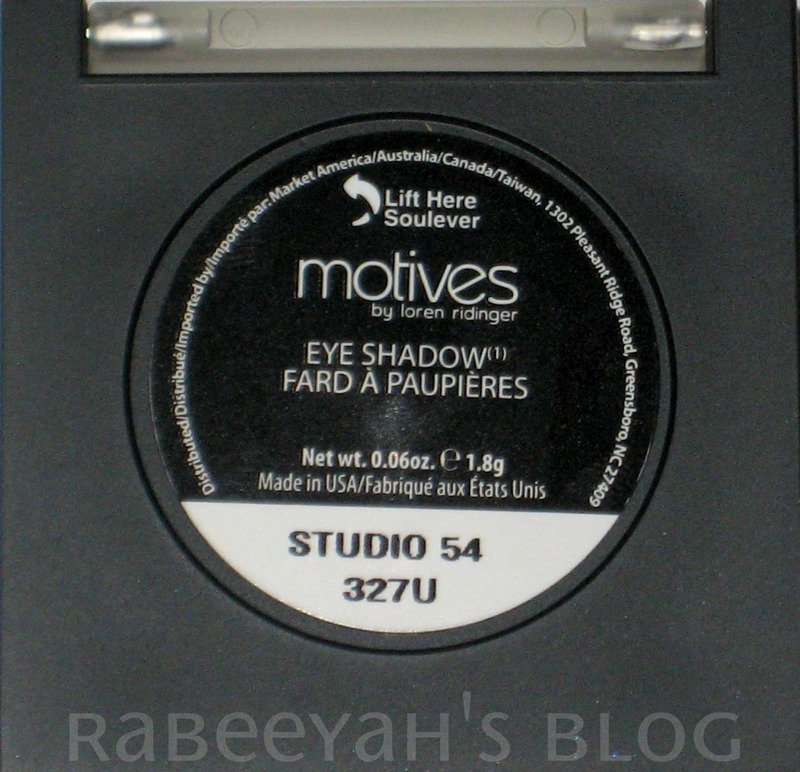 What Makes Motives® Pressed Eye Shadow Unique? Ultra smooth and luxurious, these eye shadows are crease-proof and deflect the light away from fine lines to help visibly reduce the signs of aging for a bright, polished look. 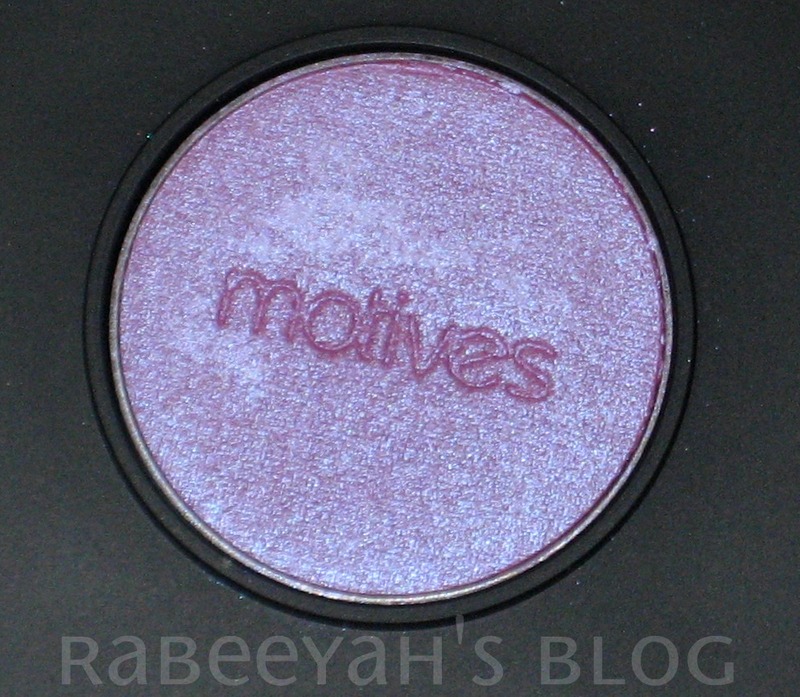 The Motives Pressed Eye Shadows have impeccable color retention that does not run or crease so you always look your best. They glide on ultra smooth with incredible hold, a flawless look, and a luxurious feel and finish. Take the guesswork out of looking gorgeous. 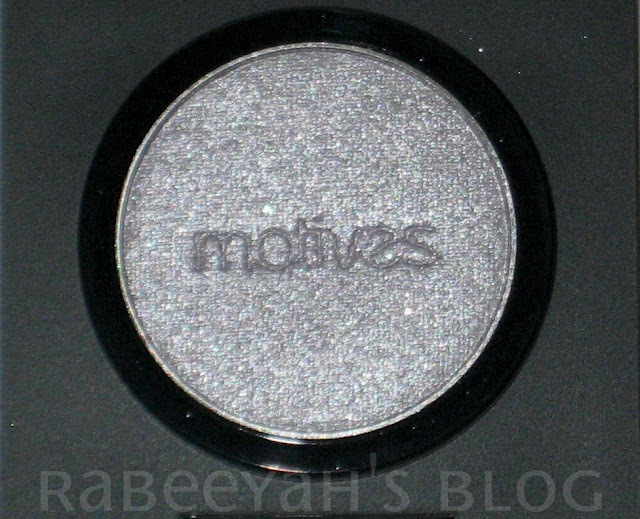 The Motives Pressed Eye Shadow promises to give you the long-lasting, high-color look you have always wanted. First, I will talk about the packaging; I am really impressed with the good quality packaging. It is attractive and decent. The lid is of opaque plastic material, and is hard and un-breakable. It cannot break even in the shipping, which most of the products do, while they are in the shipping process. 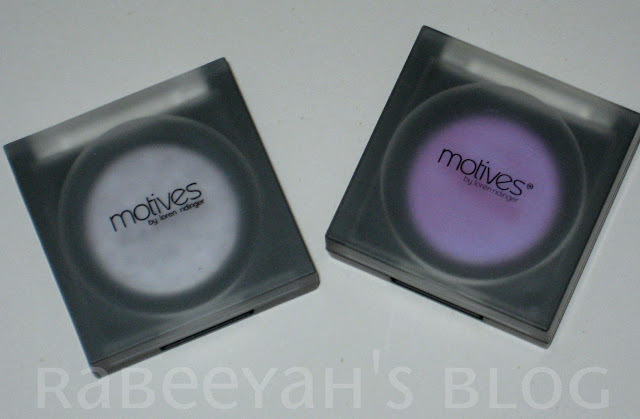 The best thing is, the eye shadow pans are magnetic and it can come out. You can always pop the eye shadow pans out and put it in the magnetic palette which hold loose pans (when you are travelling). 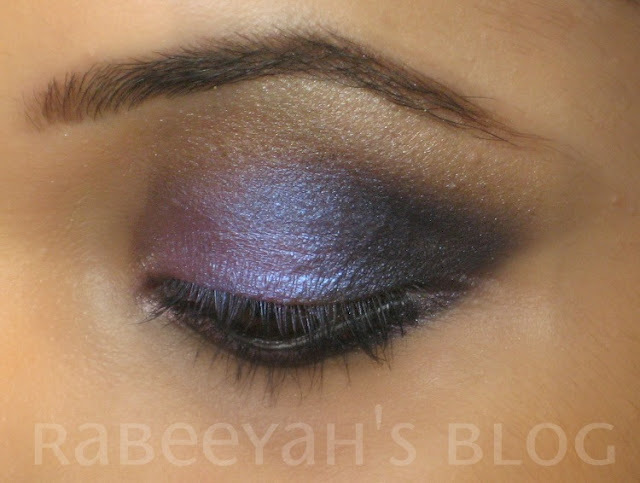 The eye shadows are beautiful and very pigmented. Both the shades I received are gorgeous shimmery/metallic color. Star Truck, which is my favorite, is a gorgeous silver color and has tiny specks of silver shimmer. Yes! It is a metallic+shimmery color. 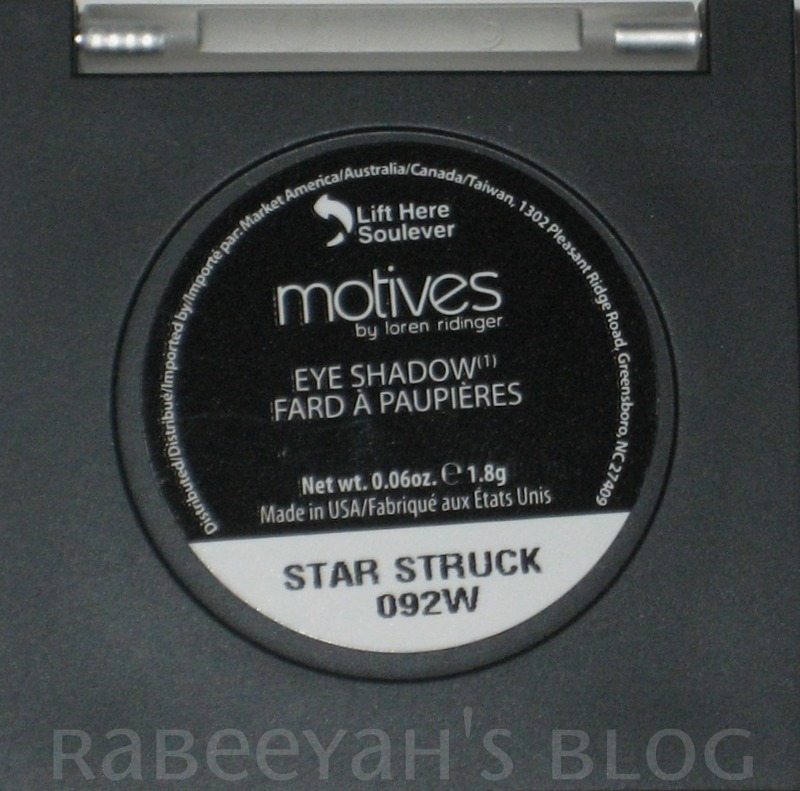 This color is amazing for parties at night, where you can glam-up your eyes, with gorgeous sparkling 'Star Truck' eye shadow, with any black color on the crease and a winged eyeliner, to create a dramatic eye look. Studio 54, is a metallic dual tone shade, of purple and blue. I think it is blue specks, which give blue shade. It is a metallic color, so it does not have any fall outs. The eye shadows are very smooth and pigmented; which makes the application easy. Does not crease or fade away at all, even after a good 3 to 4 hours. The color pay-off is amazing, you can see the looks I created with it. I have not used any primer or eye shadow base. You can always build up the color accordingly. 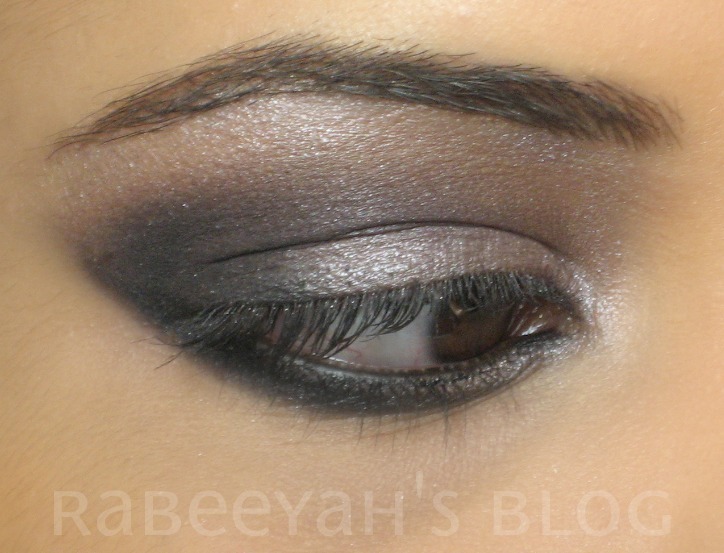 For the first 'silver smokey' look, I have used silver eye shadow, which is Star Struck. With it, I have used some other colors too. As it is a shimmery sparkly color, you cannot wear it alone, you need another color to tone down the color. Though, it is a beautiful color alone. I used the silver on my brow bone and on the inner eyelid. 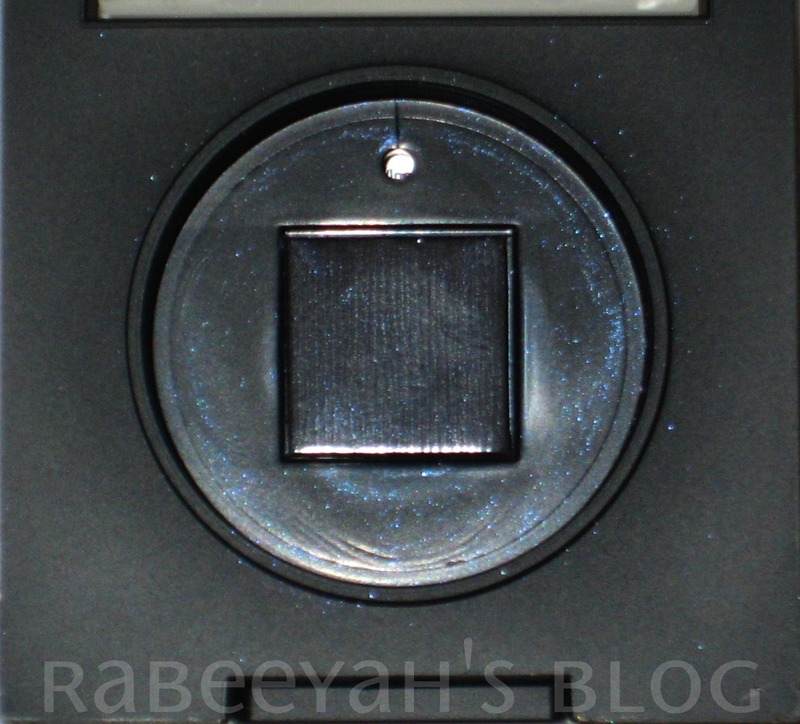 As it has little shimmer/specks, it does have a little fall-out, but not as crazy as some of the shimmer shades. You can see tiny silver specks on my eye lashes too. IF you want to stay at a safer side, apply the foundation and concealer after you are done with the eye shadow, while using silver, and some other dramatic colors with it. 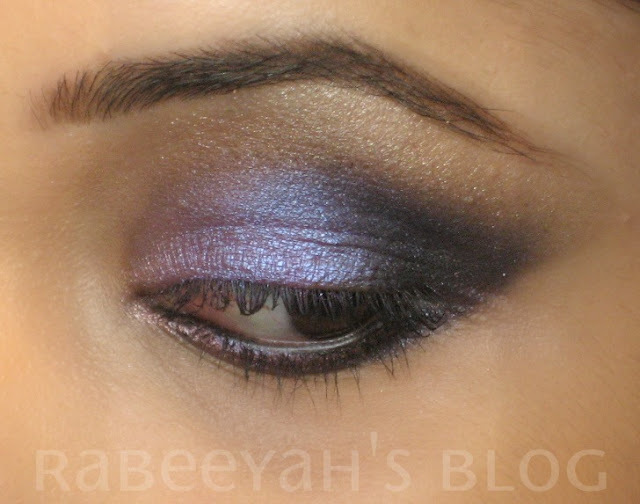 The other eye look is created with Studio 54, which is a dual tone color. I have used it on the eyelid. 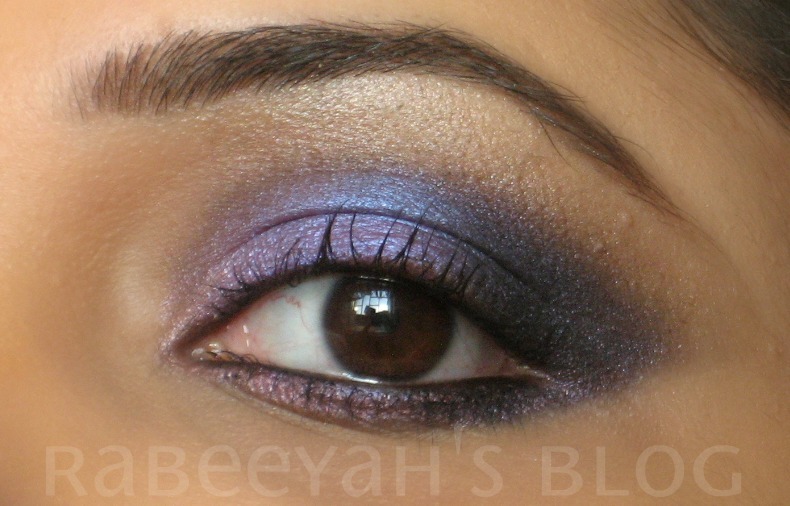 You can see the beautiful purple color, with the shade of blue peeking from inside and giving two shade effect. With it, I have used dark blue on the outer corner and dull gold on the brow bone. There was no fall-out after using this color. 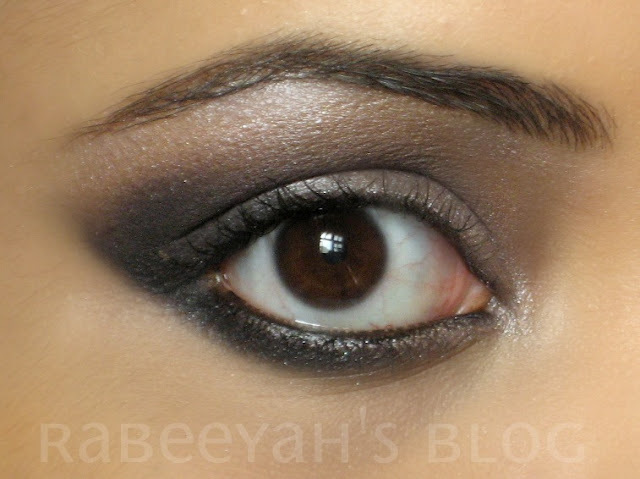 I did not use any primer on the eyes, before applying these eye shadows. I used a wet brush for the application. The colors are pigmented and very intense, but if you don't want to use a wet brush, you can always use an eye shadow base before applying the color. 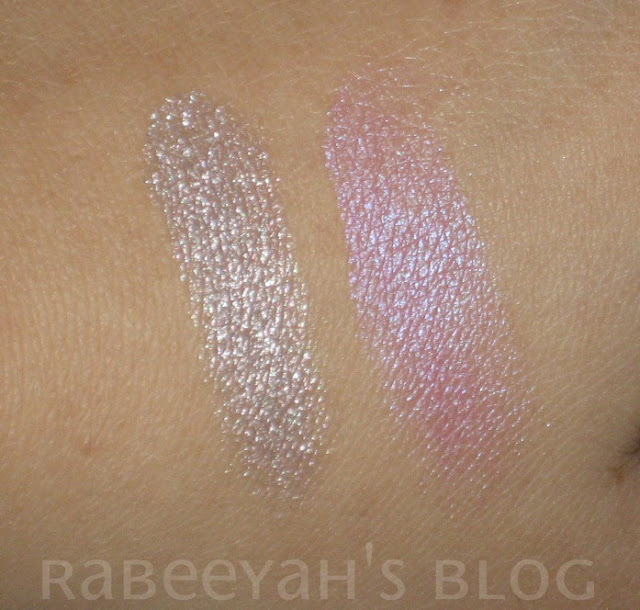 Swatches, without any primer or base. Pros and Cons are in the review, so I don't need to write it separately, I think!! Conclusion is, I loved the eye shadows. They are quite expensive for a single eye shadow, specially for US in Pakistan. But for girls outside Pakistan, these shades are worth trying. 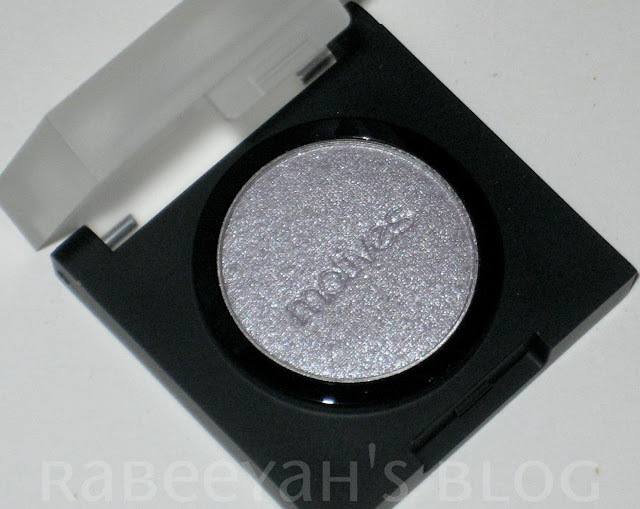 Do you own this eye shadow? How did you find it? Share with US!! Disclaimer: PR sample sent for review. This review is my honest opinion, after using it on myself. lov ur eye looks..yah these shadows are great.. Both of the looks are soo pretty! I wish you could do more EOTDs. Great review! Review - Christine's Face Contouring. Today, finally I am going to review about Christine Face Contouring powder. You girls have been requesting it for so long, but I wanted to try it and go out for hours, so that I can actually talk about it. It will be easily available at any cosmetic's store, because it it not a high-end brand. This is how it looks like, it comes in different shades. At the back of the box, the sticker is of no.2, and at the back of the casing as you can see, it's no.1 :) Check the shade you want. I picked another one which had too dark brown shades. This one was the lightest. You can use this as a bronzer as well. I hardly use bronze because I look dark. But, for some reason, I am obsessed with bronzers these days and I want to try them from different brands. This is the first one I have and I kind of like it, as it is not too dark for me. I'm a person who loves experimenting things with my makeup and hair. When it comes to changing the color, I can try the bold colors to subtle ones. Lately, I've been obsessed with Ombre and full brown hair color. I prefer hair dying my hair at home and that's why I love and prefer shampoo dyes. If you are new, and you are changing hair color at home, it's the easiest way. All you have to do is mix all the contents in a bottle, shake well and start applying. Yes, easy as it sounds. Today, I am going to review the most requested product after my 2nd Haul post :) Yes, it is Watsons Repairing Treatment Wax. I went to Naheed Supermarket and found this little jar. I had alot of time that day to go through something for my haircare. I picked up a jar from Boots, which was more like a conditioner to me. But, when I saw this, I picked up this and read about it. I thought of giving it a try. This one is for Dry or Permed Hair. And it is in flavor HONEY. It says : Enjoy a salon treatment for your hair at home! Watsons Honey Treatment Wax is formulated with natural honey. It deeply nourishes your hair whilst repairing each hair strand from root to tip. Enriched with panthenol and hydrolzed wheat protein, it leaves your hair healthier and more manageable. Hydrolzed Wheat: Film-forming agent which retains water, promotes healing processes and improves hair manageability. Panthenol : Is a provitamin B5.